Once again, America’s loss is China’s gain. Looking to pare off smaller divisions and raise some much-needed cash, Ford Motor Company has reached an agreement with a Chinese company, Zhejiang Geely Holding Group, to sell off the Volvo brand for an estimated $1.8 billion. The immediate benefit was felt by Geely Automobile Holdings, the automotive wing of the company’s holding group, whose stock rose 5% after the deal was announced. This sale gives yet another Chinese company an in-roads into the international marketplace thanks to Volvo’s presence throughout Europe and North America. This comes on the heels of GM’s sale of the Hummer brand to a Chinese heavy industry concern. 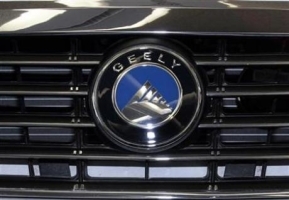 The deal is expected to be beneficial to Geely not because of market share or because of the new position in the premium sedan business, but because of the technology transfer that goes along with the deal and Geely’s brand upgrade. After all, Volvo is pretty prestigious, and once you transfer Volvo’s safety technology into your car brands, it’ll only help raise your company’s profile.